“He had quite a nice laugh, louder when he was excited,” Cecil Abrahams recalls with a smile of his own. Of all the memories and moments, big and small, of education and activism spanning decades, Abrahams still remembers the way Nelson Mandela (or Madiba) — the late statesman, anti-apartheid activist and former president of South Africa — sounded when he laughed. With conviction, with gusto, as was Mandela’s way with so much else in his life. 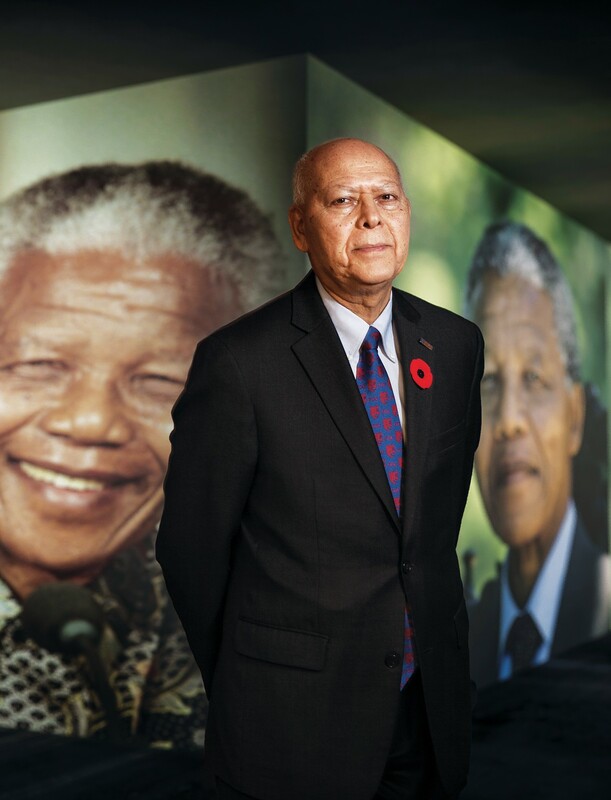 Born in South Africa, a country gripped by apartheid for 46 years, Vancouver Campus Provost Cecil Abrahams grew up in Johannesburg. 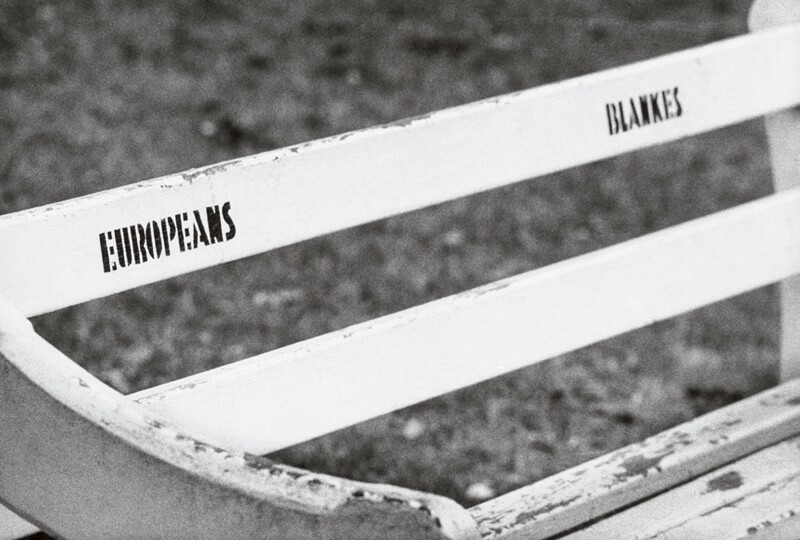 The son of an East Indian father and a Mauritian mother, whose father was a European Jew — Abrahams was part of the country’s “mixed-race” population. 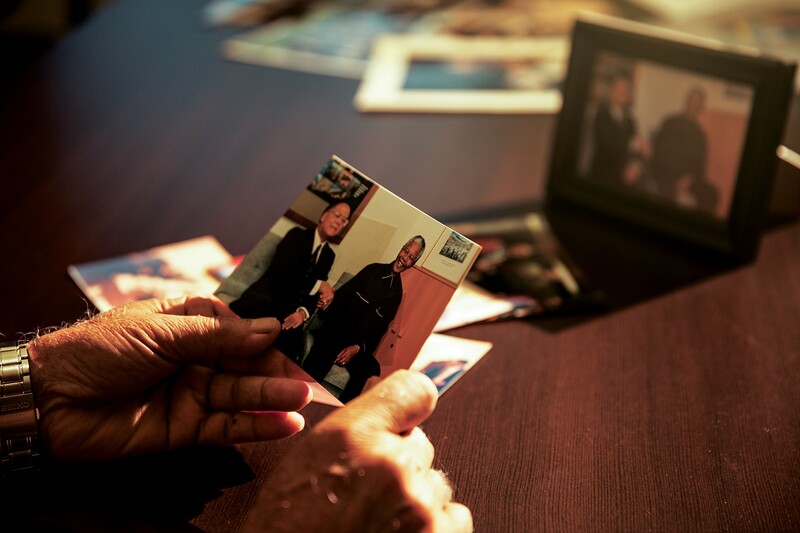 Racial discrimination ran rampant, defining his childhood, adolescence and adult life. His anti-government activism and humanitarian spirit eventually left him a man without a country, his citizenship revoked, when he left South Africa to continue his higher education in Canada. But this story is one of triumph: Abrahams returned to South Africa to lead a university after the release of Mandela, the man who united a nation. The two men — alongside so many others — worked together to better educational prospects for all South African citizens, and Mandela’s legacy of reconciliation, compassion and wisdom became Abrahams’ legacy, too. “There was a square not far from my house — they called it Red Square — but it really was a whole lot of red sand. This was a favorite place for children to play and make up their own soccer games. We used to go play there every Saturday and Sunday morning because it was free. And that was a very popular spot in the afternoons for the political people. Those who were against the government, they’d come there, talk to the people about why they oppose certain laws. On one of those Sundays, Mandela and members of the African National Congress wanted to hold a rally at the Red Square, but we were playing. Growing up, Abrahams wanted to be the world heavyweight-boxing champion (he couldn’t put on enough weight), Frank Sinatra (he wasn’t the best singer) and a lawyer (he was always defending the less fortunate). He went into education instead. Education formed the center of Abrahams’ life, starting at a young age. As he attended school (mixed-race children received free education from the government for the first eight years of school but had to pay for high school), he also learned beyond the classroom, observing and experiencing discrimination firsthand. Abrahams’ neighborhood consisted of about two-dozen long streets. 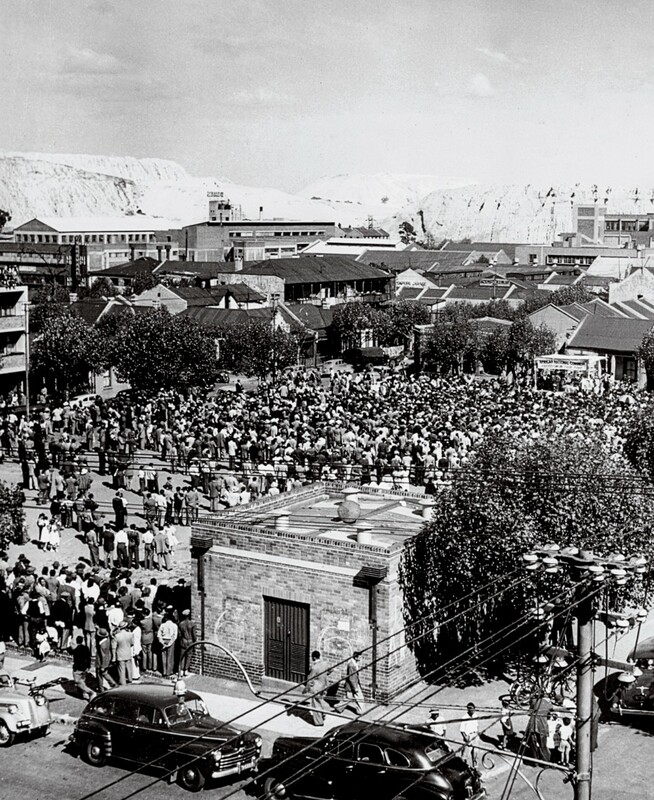 Low-to-middle class white South Africans, those who worked in mines or had government jobs, lived in one section. The population in the other section was predominantly mixed race and East Indian with some black South Africans. Abrahams remembers running past the local YMCA, then open only to whites, because children would sit outside and “make nasty comments.” He and his friends and family fled past the spot with fear. Even the airplanes. South African airlines divided travelers by race. Upon his return to the country as an adult, after apartheid lifted, he beheld the airport with amazement. “When I got back to the same airport from which I had left years ago, and I saw there were no more signs, and I saw the people mingle, I thought, ‘Wow! What a change.’ It was like another world; I couldn’t believe it,” Abrahams says. By the time Abrahams returned to his country, he had been fighting apartheid for almost as long as it had been the law of the land, though he didn’t realize it was a fight against apartheid, at first. Around age 10 or 12, Abrahams started speaking out publicly against the unfairness and injustice he witnessed. In local tribunals, he stood up for black South Africans who were being exploited, overcharged or evicted by East Indian tenement owners. Years of defending his neighbors and other locals led Abrahams to temporarily consider a law career after he finished his bachelor’s degree in English, sociology and philosophy at Pius XII Catholic University College in (the British colony) Basutoland, now called Lesotho. “I think my first real awareness of how difficult apartheid could be was when I was ready to go to university,” he says. Though he was accepted to his first choice college in South Africa, he was denied permission to attend by the South African minister of mixed race/colored affairs because of his political activism. Ultimately, continuing his higher education forced his exile. He applied to do his master’s degree in English literature at the University of Cape Town. Accepted to the university, but turned down yet again by the minister, he taught local schoolchildren for nearly a year, trying to decide what to do next. Not long after, he received a letter from the World University Service of Canada to pursue a master’s degree in English at the University of New Brunswick in Fredericton. He left for school, leaving his country behind for years. “Once I was out of the country, obviously, I was going to lose my citizenship. It looked like apartheid was going to be there for eternity, because most of the people who could’ve led the struggle were either in jail or living outside of the country. At times you would feel very despondent. And you would actually say, ‘I guess I’m never going to see home again.’ You would just have to make the best of it, live outside of the country, and accept that’s going to be our history. When I first came to Canada, I felt very, very lonely. I really felt lost. I didn’t want to be there — not so much for my education, I appreciated that — but I didn’t want to leave my country. I felt I had been taken away from my roots. It was quite a struggle for a number of years. Every day I was longing to be back home. And listening and hearing about what was going on in South Africa only made me want to go back all the time. My activities after that to expose apartheid, to expose its cruelty, to appeal to the world to help us bring an end to this system, and to help us establish a democratic society, all led from the learning opportunities I had. In exile, Abrahams condemned apartheid rather publicly and quite frequently. He joined the African National Congress, Mandela’s political party — banned in South Africa. “Once I was outside the country, I had opportunities to explain apartheid to Western audiences, people who couldn’t fathom it. They didn’t understand it. I talked at many meetings, church meetings, educational meetings … I broke it down to the various functions people had in South Africa,” he says. Using education and athletics, the examples he could relate to the most, Abrahams spoke out in the United States, Canada and many other parts of the world. Passionate about both defending and playing sports, he protested South Africa’s all-white local, national and international teams. Earlier, he had fought against disparities in athletics facilities. “I was disobedient — I would encourage the young people I was coaching to break the rules by climbing fences and playing on grounds that were reserved for white South Africans,” he says. “I got arrested many times by the police, mostly just overnight. Occasionally they would use a strap to discipline me and members of our team for violating the laws,” he says. Later, Abrahams joined the South African Non-Racial Olympic Committee, the group that successfully worked to ban South Africa from participating in the Olympics and in international soccer, cricket and rugby matches until 1992. “I worked hard on this and helped with this group when I was in exile. We got the country banned and made it impossible for them to participate,” he says. All the while, he kept studying and collecting degrees. After completing his master’s degree, he earned his doctorate at the University of Alberta in English romantic literature. He stayed on in Canada, becoming a professor and then a university administrator, as he and his wife, Rosemary, raised their four children. 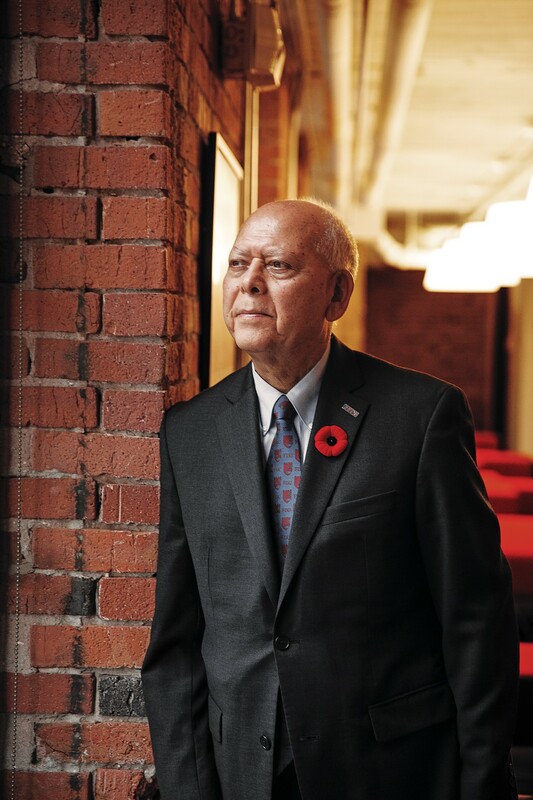 “At that time, apart from being active as a professor, I’d also started to run an office for the African National Congress, to seek help from people in Canada and in the U.S. I made lots of forays into the U.S. to give talks at colleges and universities and seek sympathy and support for the struggle to bring an end to apartheid,” Abrahams says. The 1990s brought rapid change, an end to apartheid and the election of Mandela as president in 1994. 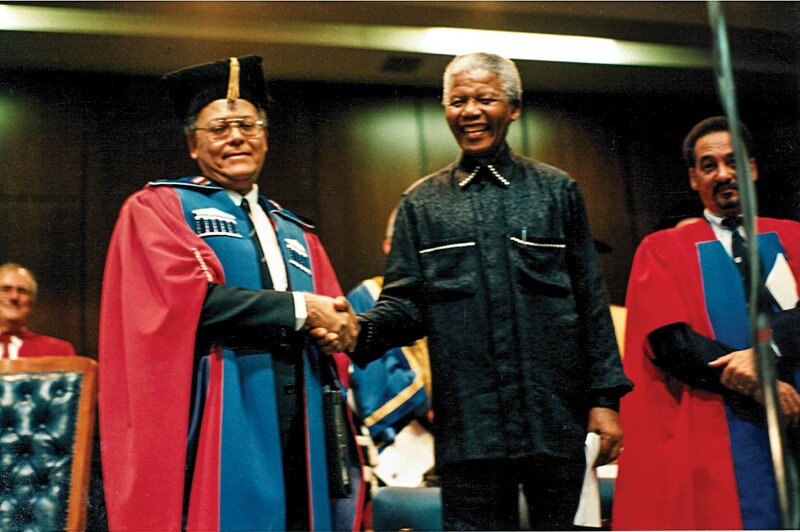 “After I got back home, Mandela insisted on coming to my installation [as vice chancellor of University of the Western Cape (UWC)]. In South Africa, when you’re installed as president, it’s quite a big thing, because the leaders of universities there are treated like national figures. And this university was well-known politically, so it brought along a lot of attention. Mandela’s office called my office and informed me that he would like to come to my inauguration. When he arrived on campus, I was, first of all, flattered, but I was also a little upset. I said: ‘Mr. President, I’m pleased to have you here. But my real worry is that it is my special day, and everybody will be praising me, but when you come they’ll forget about me, and they’ll all be going after you.’ He laughed. He said, ‘Okay, I won’t stay long. I’ll just make my speech and run away, and then you’ll have them to yourself.’ We had a big laugh. In 1995, Abrahams flew home to South Africa. 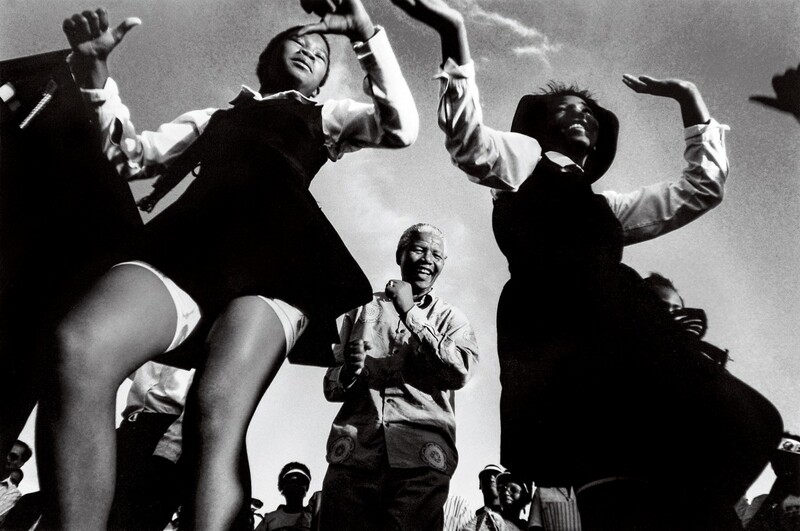 With Mandela freed from prison and newly elected as president, change felt palpable. But at the fractured University of the Western Cape, which was facing major financial woes, much work remained for Abrahams as the new vice chancellor. The challenge was daunting. “My youngest son, he was about 9, teased me. He said, ‘Dad, you’re really smart. You’re so smart that you chose a university that had a deficit of $26 million rand [the South African currency],’” he says. But Abrahams felt determined: to provide a quality education for all races at his university, to help student protesters move on from the past and forget retribution for apartheid, to convince students to pay their tuition fees and to fix the school’s finances. A tall order. Undeterred, he forged ahead, instituting changes. “As a natural peacemaker and negotiator I managed to make the students see how important their education was in building the ‘new’ South Africa. Through meetings with the leaders of the students, we were able to assist students,” says Abrahams. Abrahams believed in the spirit of reconciliation set forth on the national stage by Mandela — particularly evident in the president’s handling of the dispute between black and white South Africans over the springbok symbol, once a representation of oppression, on rugby player uniforms — and applied it to his work. 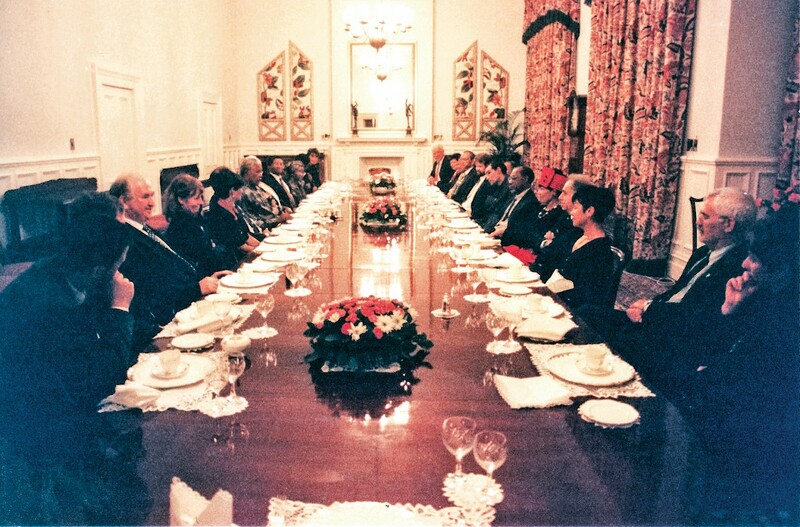 “Mandela asked me to bring 24 people from the university to come and have dinner with him at the president’s house. He wanted to speak with us about his presidency. I don’t think many presidents anywhere in the world would do that kind of thing. After dinner he said to us, ‘I want you to be candid, to be honest, to tell me exactly how you think I’ve done as a president.’ And everybody, of course, was nervous to speak. I led off by saying, ‘Mr. President, I want us to talk about education and my worries about whether in the five years we have seen the kind of movement forward that you had promised.’ I pointed out some of the difficulties we were having in higher education, especially around financing. Tuition wasn’t a great deal in South Africa, but it was significant enough if you came from a poor family — and most of the students we had were poor. The government’s view was, while they respected the idea of improving education, they just didn’t have the money to support those students who were at university. I raised all of these issues with the president; and in fact, while we were sitting there talking, he said to me, ‘Let’s call the minister of education.’ The minister was very, very uncomfortable, and the president directed him to meet with me early in the next week so that we could talk about what I had said. When Mandela took office, he told South Africans that he would only serve as president for five years, in an effort to ensure a democratic transition of power. Those five years were nearly up in 1999, at the dinner party. Even with just months left as president, he wanted to do more and be better. Over sixteen years later, Abrahams remains floored by the dinner invitation. When Abrahams left the University of the Western Cape in 2001, Mandela’s welcoming embrace and thoughtful countenance stayed with him. Mandela treated all equally, and so too has Abrahams. After almost six years as vice chancellor at University of the Western Cape, Abrahams and his family moved to the United States. In recognition of his achievements in higher education in South Africa and internationally, he was invited to be the distinguished professor of higher education, and later to hold an endowed chair, at the University of Missouri-St. Louis. Syracuse University in New York invited him to become a distinguished university professor in higher education and English literature. 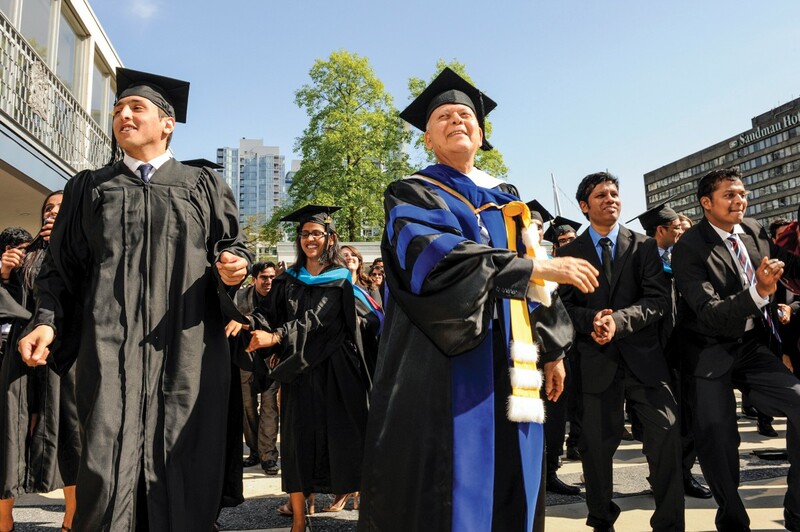 The State University of New York system and the Universite de la Reunion in France awarded him honorary doctorate degrees. In 2009, he accepted the position of campus provost at Fairleigh Dickinson University’s Vancouver Campus in British Columbia, Canada. And he was not thinking only of postsecondary students. In fact he was thinking of kindergarten to sixth-and seventh-grade students. For him education began at this level and it was important that we got it right. Mandela was acutely aware that there were lots of children who were educated in the rural areas and the urban black townships without proper schools. They would sit under trees and in badly deteriorated buildings trying to learn. It was not very easy to do that. He knew that for that education to happen, it was not something that only happened at universities and in technology places. It had to happen from the bottom up. He put a lot of effort into the creation of new schools. Many of them actually gave the money to build schools. There’s a legacy of Mandela schools all over the country. I think the most heartening thing for him was to see how the children were eager to come to school. On an annual basis, these schools have increased their enrollment, every year more and more children are going to school. And so the solution, in part, is to prioritize education efforts, not just in South Africa, but also around the world. Now as campus provost, Abrahams relishes the small, intimate atmosphere of FDU’s Vancouver Campus, a hub of higher learning for international students, who now number more than 700. It reminds him of his own undergraduate days at Pius XII Catholic University College. At orientation, Abrahams encourages students to take advantage of not only their studies in a multicultural atmosphere, but also the connections and friendships they build with classmates. The idea of being a global citizen, “engaging with the world to contribute to its betterment,” so ingrained in the fabric of Fairleigh Dickinson University, is deeply rooted in Abrahams’ philosophy — and Mandela’s, too. For years Abrahams has done the same: making something of himself through the education of others. Changing the world, one student, one school, one nation at a time.